On Tuesday, five Unilever employees visited Iowa to learn more about the sustainability of cover crops and small grains from Practical Farmers of Iowa and a few of our members. Practical Farmers is partnering with Unilever to increase cover crops on acres from which Unilever sources soybeans for its Hellman's mayo brand as a part of its Sustainable Sourcing Initiative. 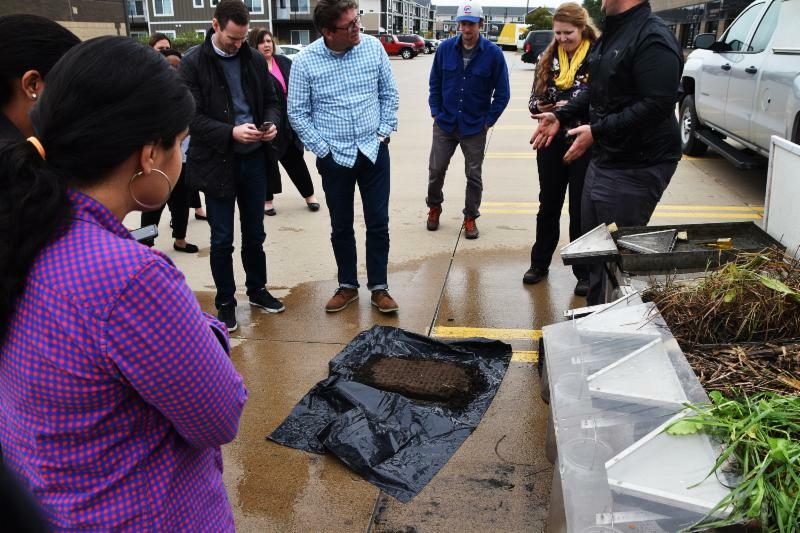 The group joined PFI staff at our office for lunch and watched a rainfall simulator demonstration led by Patrick Chase with the Natural Resources Conservation Service. The group met with members Todd and Kim Flynn of Nevada, Jeremy Gustafson of Boone, Ken Sutter of Pleasantville and Will Cannon of Newton. If you want to plant cover crops, sign up here for Unilever's cost-share program. Rye is commonly known by farmers in the Midwest as a cover or green manure crop. A small amount is grown as a grain, and an even lesser amount is being fed to pigs. Across Europe, pig producers include rye in feed rations for their grow-finish pigs, gestating and lactating sows. Rye has a mixed reputation due to its susceptibility to ergot, a fungus that negatively impacts pig health and performance. To combat the issue of ergot, new varieties, like hybrid rye, have been developed with traits making it less susceptible to ergot toxins. 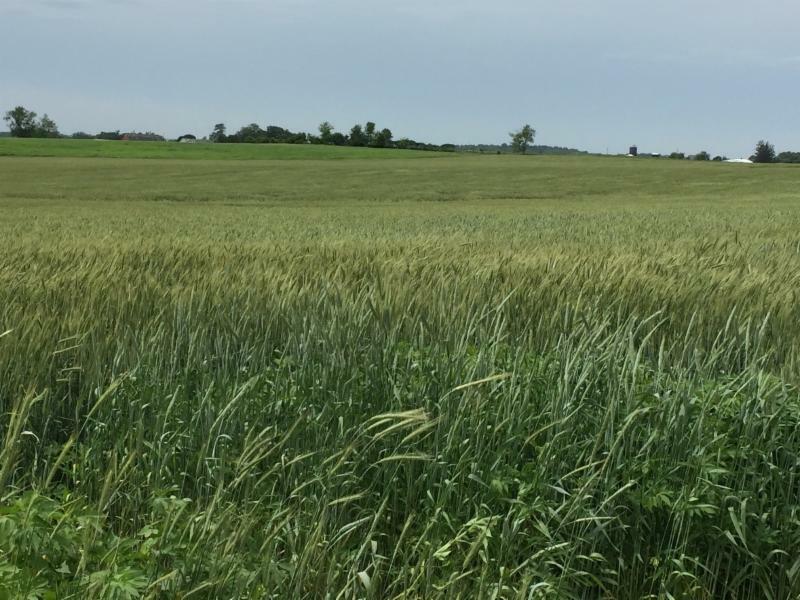 Winter rye and hybrid rye have genetic differences, but are managed and planted the same way. Both are grown for grain production, forage or as a cover crop to improve soil health. Read more about feeding rye to pigs here. Eric and Ann Franzenburg have been farming since 1994. 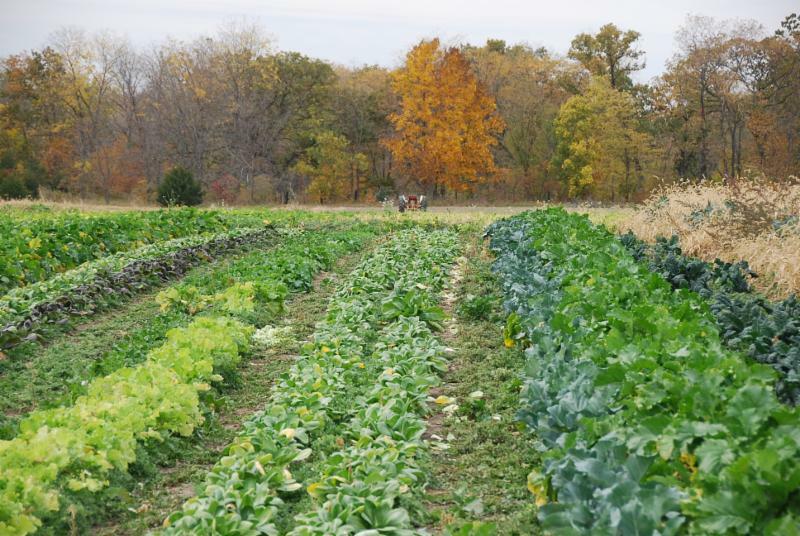 Over the last 10 years, they have added enterprises to create a more diverse farming system and have been farmer-leaders at Practical Farmers of Iowa by generously sharing what they have learned along the way. Recently, their son Calvin joined the farm full-time to run their cut-flower business. All are quick to give credit to their mentors along the way -- including Calvin, who credits his mom and dad with passing along their expertise to the next generation. Read more about the Franzenburgs' field day here. 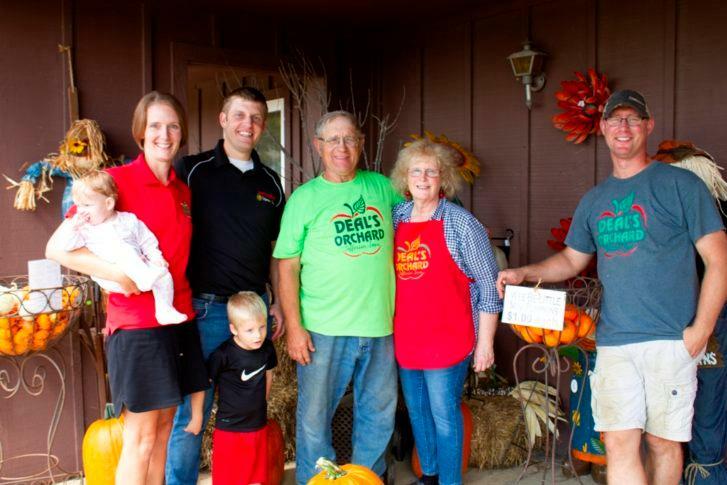 In 2017 Deal’s Orchard celebrated its 100-year anniversary as a family farm. Over the years, the farm has diversified beyond apples to include pumpkins and squash, Christmas trees, sweet corn, tomatoes and a range of value-added apple products, and to become a site for agritourism. ﻿Starting the day with freshly-made apple cider donuts, attendees heard a brief history of the farm, then learned start-to-finish about their apple cider operation -- including their hard cider production -- before venturing out to see the Deals' pumpkin patch and high tunnel tomato production. Read more about the Deals' field day here. Don't miss your chance to be part of the next Savings Incentive Program class. The deadline to apply is Wednesday, Oct. 10. Those admitted will start in January, and be part of the Class of 2021. If admitted, you'll have access to a mentor, business plan support and the chance to earn up to $4,800 (through a dollar-for-dollar match on money saved up to $2,400) that may be used to help purchase a farm asset. 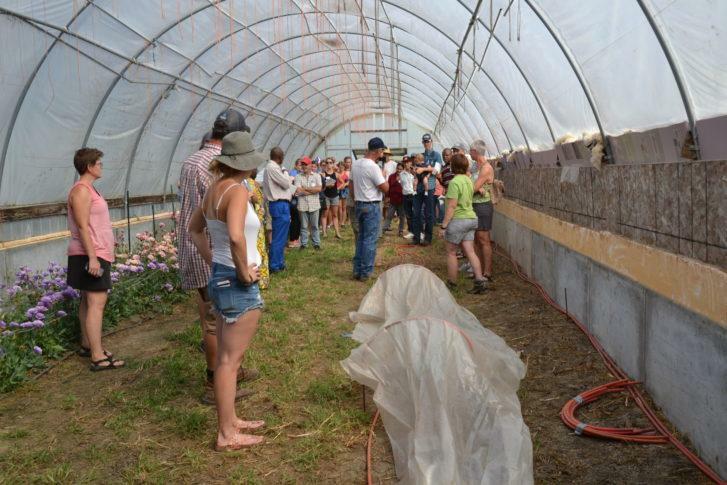 You will also have ample opportunities to network with and learn from farmers within our supportive community. Read more about the Savings Incentive Program here. Kristten and Garrin Buttermore invite you to gather with other farmers and supporters, and share a meal. You'll have a chance to tour the Buttermores' farm and expand your personal community while sharing in this year's successes and challenges. Kristten and Garrin started Uncle G's Farm in 2016, where they raise pastured chickens, outdoor-raised pigs, free-range laying hens, a few cows and several dogs. Learn more about the social on our Facebook page. Derek and Molly are the primary farmers at Echollective Farm, a cluster of farmers, interns and volunteers cultivating 14 acres. The farm includes a variety of vegetables, herbs and flowers, and specializes in several heirloom hard-neck garlic varieties. The farm distributes produce through a CSA, New Pioneer Food Co-op, restaurants and farmers markets in Iowa City and Cedar Rapids. Derek and Molly value social justice, soil restoration, and healthy food and communities. Check them out on their website and on Instagram: @echollective_farm. Shanti Sellz of Iowa City was featured in a blog post on Women, Food and Agriculture Network's website - Shanti Sellz Selected as 2018 Woman in Sustainable Agriculture. Patti Naylor of Churdan was featured on Iowa Public Radio - Iowa Farm Bureau Unveils Health Plans, Raising Questions About Consumer Protections. Jordan Clasen and Whitney Brewer of Johnston were featured on the Rachael Ray Show - These Garlic Farmers Celebrate Rachael’s Fave Ingredient Every. Single. Day.